Some of us are lucky enough to not have to get up for work on Monday’s. Others are unlucky enough to have been working all weekend. Either way, we can still guarantee a great Sunday night out in Liverpool. The weekend doesn’t need to end on Saturday night, in fact for many, Sunday means the weekend is just beginning. Where better to enjoy a spectacular Sunday night out in Liverpool than at any of these cracking city centre bars and clubs? Here’s our guide to Liverpool’s most exciting Sunday night venues perfect for those with Monday mornings off. 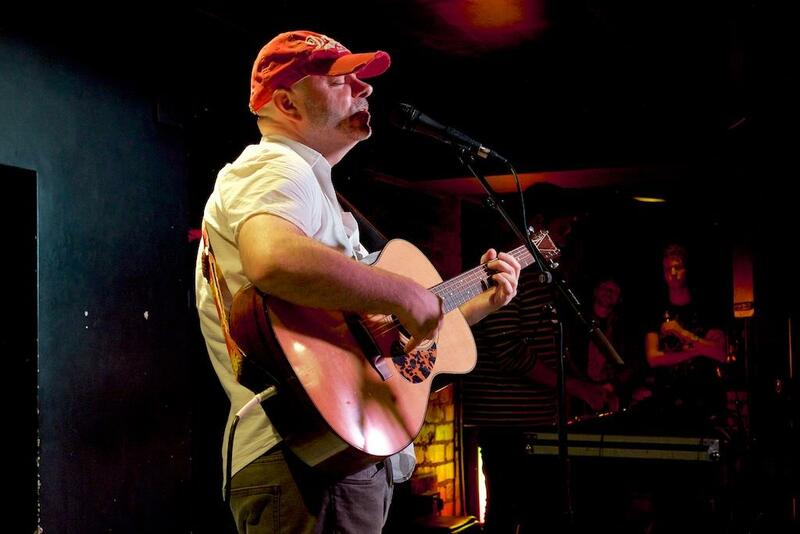 If you’ve missed out on the great live music from the weekend then fear not, as there are still a number of venues in Liverpool showcasing live music on Sunday’s. Each one is perfect to start a fabulous Sunday night in Liverpool. Choose from live jazz, gospel choirs or a little rock and roll from any one of these awesome Sunday night venues. An evening spent at The Grapes listening to the soothing sounds of jazz is a favourite amongst Liverpool residents and visitors alike. At The Grapes, you can unwind from a hectic weekend in work to the sounds of classic jazz with an exotic Latin twist at Sunday night Con Fusion. The perfect blend of old meets new and a great way to spend a Sunday night out in Liverpool. An obvious choice for a drink in Liverpool and steeped in musical history Cavern Club is a no-brainer when it comes to catching a little live music in the city. On Sunday’s, as with any other day of the week, The Cavern Club both have a variety of live music performances. Most are in the rock n roll genre and can range from relaxed acoustic sessions to Merseybeat covers and Beatles tributes. 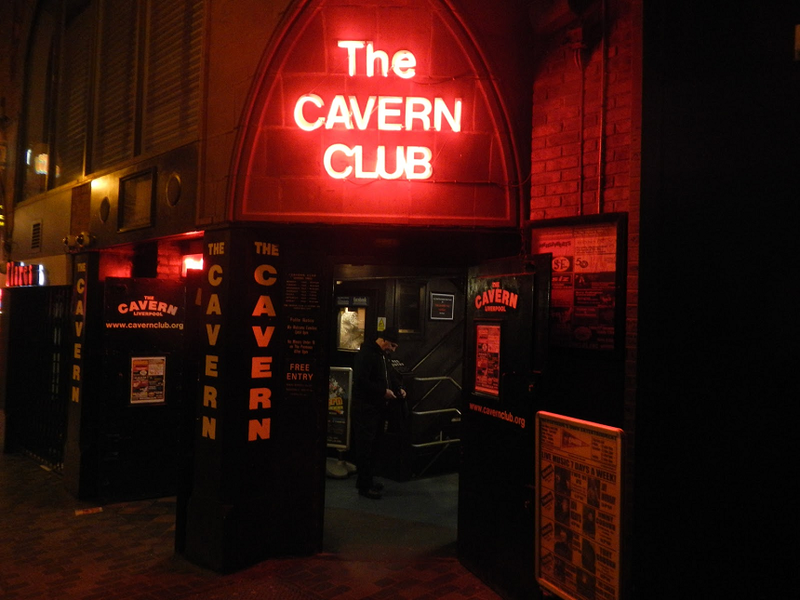 The Cavern guarantees to get your toes tapping and in the mood for a great Sunday night out in Liverpool. Making your way to one of Liverpool’s most glamorous venues on a Sunday is exciting enough but even more so when you know what’s in store for you when you get there. On Sunday’s Alma de Cuba is transformed into a choral venue filled with the sounds of heavenly gospel voices. You and whoever is lucky enough to be tagging along to this spectacular Sunday service will first enjoy a superb brunch followed by a performance from a talented gospel choir. A collective of amazing voices will lift you into the rafters. There’s no better place to get your party spirit lifted for a Sunday night out in Liverpool than at a Gospel Brunch Service with Alma de Cuba. The home of an eclectic mix of live music ranging from modern jazz, Cajun and alternative rock to Irish dance music and country soul and blues. Every now and then a resident band will perform some classic floor fillers from the 80’s and 90’s for those looking for a nostalgic Sunday night out in Liverpool. This unassuming venue can quickly become packed with partygoers looking to wrap up their weekend in Liverpool with a shindig. Make sure if you are just starting yours you get your seats early. 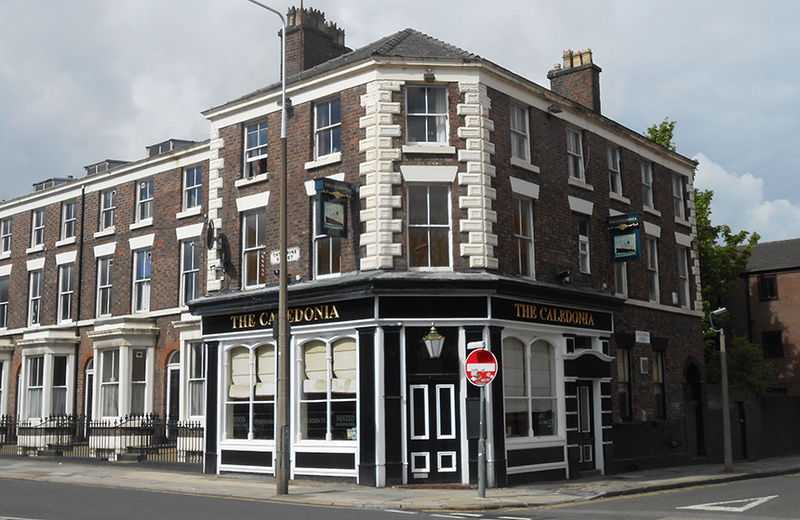 A legendary venue in Liverpool, the Jacaranda is steeped in Beatles history and the perfect place to spend a Sunday night in Liverpool. 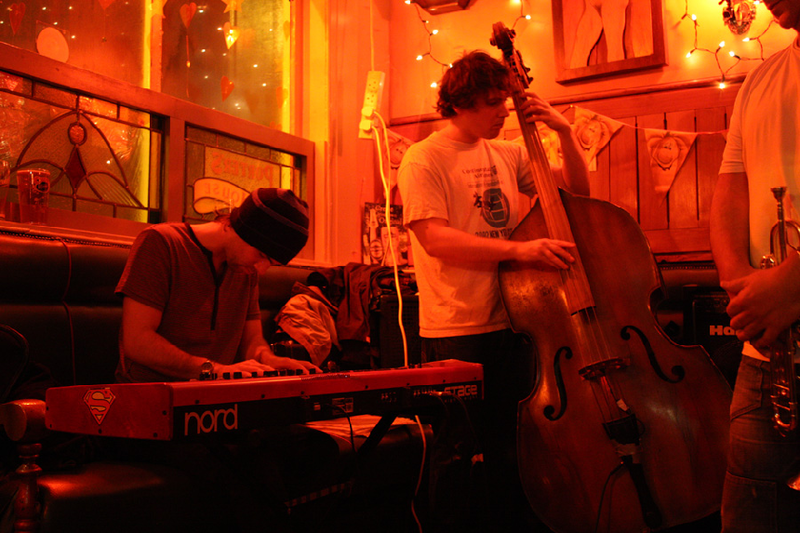 Every Sunday night, the Jacaranda put on a brilliant open mic night, drawing in the best musical talent in the city. Instead of a party night out in Liverpool, you might just be looking to catch up with a few friends in a relaxed and fun atmosphere. 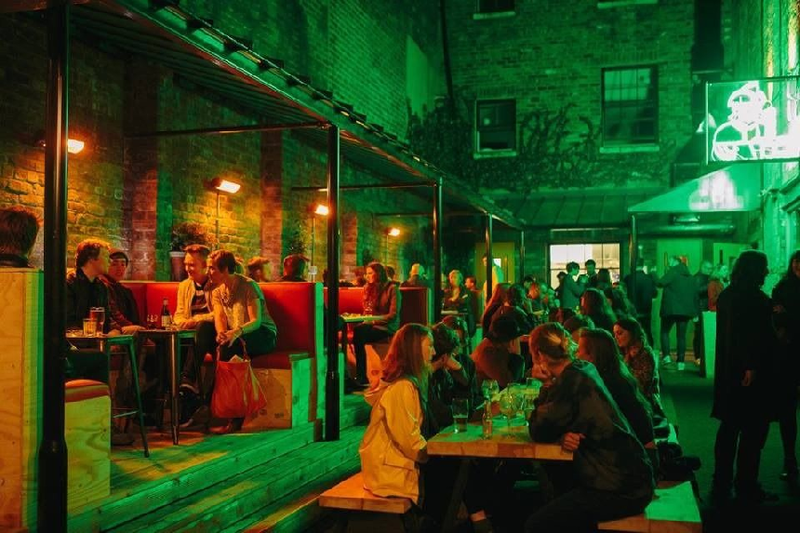 There’s an amazing selection of funky laid-back venues perfect for spending a chilled Sunday night out in Liverpool. This amazing venue was dreamed up by two Americans at the tender age of just 24. They began selling hand bottled homemade BrewDog beers from the back of their van. 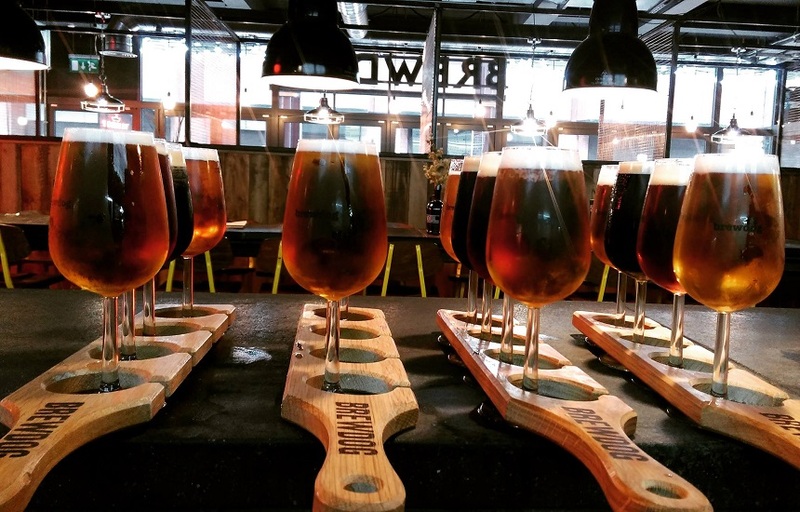 Now, in almost every major city on earth patrons can pick from a list of specially crafted BrewDog ales, and make themselves comfy in industrial-chic surroundings. Most BrewDog venues will have at least one ancient leather chesterfield sofa and a few massive armchairs for you to sink into with your friends. From there it’s all about enjoying the easy listening soundtrack, perhaps playing a retro board game and enjoying the company of your mates. It doesn’t get more chilled than this on a Sunday night out in Liverpool. Liverpool’s premium café and bar, Filter and Fox is where you go for guaranteed great drinks served by friendly staff in a welcoming atmosphere. This teeny tiny venue has a cosy feel, making visitors feel like they are cut off from the rest of the world. The drinks on offer are ever changing, as the suppliers alternate with the seasons. Quite often the bar staff at Filter and Fox are stuck with the leftovers of no longer stocked liquors. Instead of having a great night of quaffing the ends of bottles of spirits they’ve created infinity bottles. A clever blend of all the spirits that have graced the shelves and glasses at Filter and Fox never to return. Pretty much guaranteeing that no drop of premium liquor goes to waste and a unique drink that is all their own. A superb Sunday night out in Liverpool is waiting at The Merchant a fantastic offer for all you gin lovers out there. Head to the Merchant and buy one huge gin goblet and get another for just £1. What a great way for you and another gin loving pal to enjoy a cheap Sunday night out in Liverpool at one of the city’s most popular bars. The Merchant has a fabulous rustic feel that is continued into the spacious outdoor garden area. 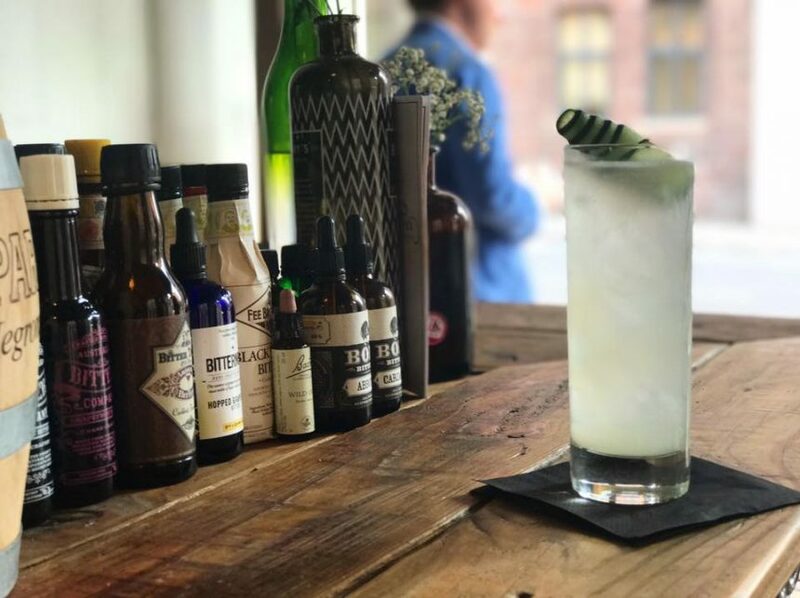 Plenty of mood lighting and a chilled-out soundtrack makes The Merchant the ideal place to spend a Sunday night out in Liverpool, especially if you like your gin. 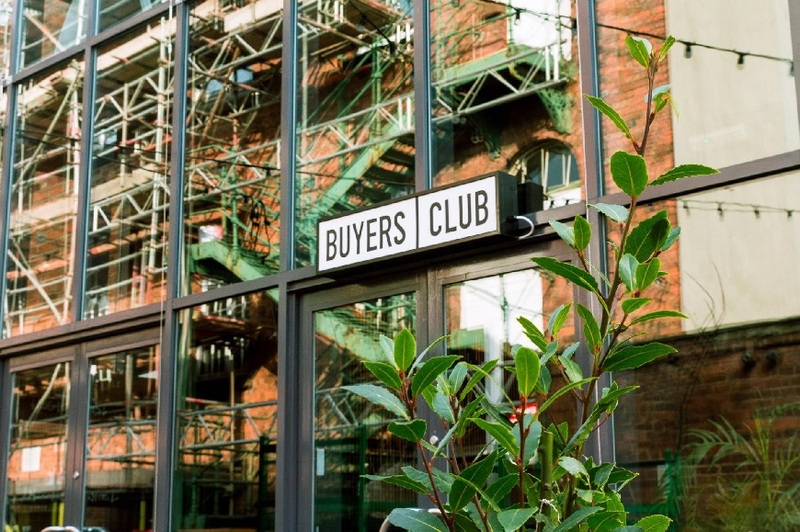 Located a little set back from Hardman Street on a road that looks as if it leads to nowhere, Buyer’s Club is a chic and trendy place where you can walk in alone and leave arm in arm with a new best mate. At Buyer’s Club, you’ll be surprised by a whole host of events taking place throughout the month. Occasionally you can buy vinyl records at their monthly record fair, there might be a band playing live jazz or a portion of an orchestra performing in the garden. For a relaxed and memorable Sunday night out in Liverpool, Buyer’s Club is a hidden gem worth hunting for. One of the all time favourite venues in Liverpool for locals and tourists is The Baltic Market. 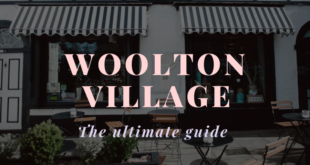 A eclectic mix of tasty food stalls, drinks stations and sociable big wooden benches, this amazing market is always buzzing with a hive of activity. 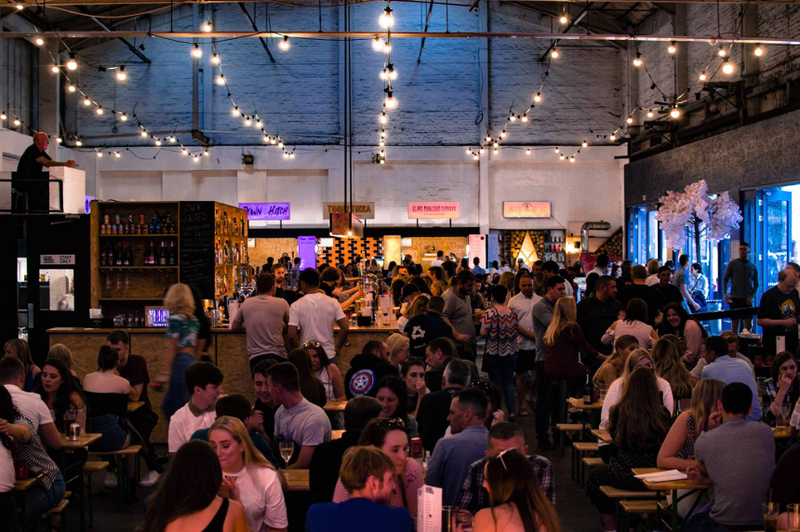 Meet some fluffy pooches, make new friends and try some exotic dishes, all in the comfort of a cosy warehouse in the Baltic Triangle. What more could you want on a Sunday night in Liverpool. There’s a saying that “nothing good happens after 2 am”, you’ve probably heard it from your parents or grandparents and sometimes it’s true. 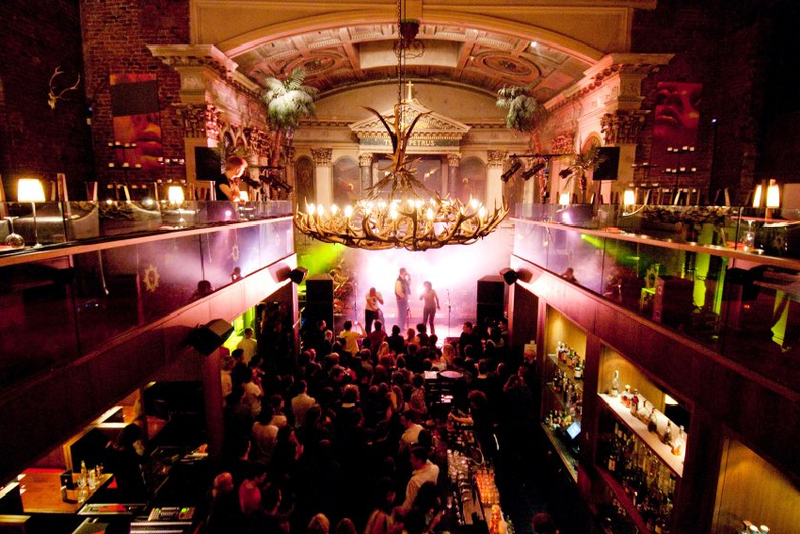 Not when you have our guide to these superb Sunday late night venues in Liverpool. These are the places you might enter on a Sunday night out in Liverpool but aren’t likely to leave until early Monday morning. One of Liverpool’s trendiest and most in demand nightlife venues is Heebie Jeebies. The interior is spectacular and offers a seamless indoor to outdoor space that spans across two floors, so it never feels too crowded. Even on a Sunday, there’s likely to be a queue to get in and that’s because of Heebie’s great selection of indie hits played all night and their top-quality choice of drinks. What’s better is that in the basement, a new club has formed amongst the brickwork tunnels. 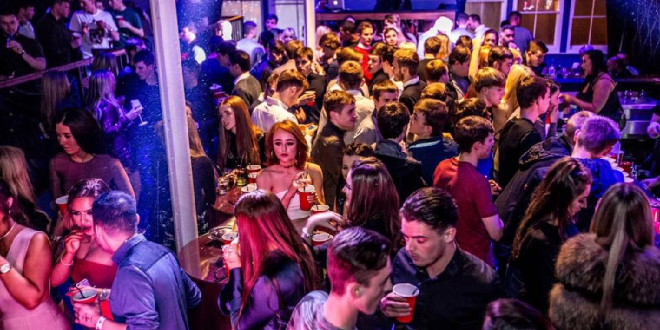 EBGB’S is the late night spin off to Heebies, a venue that has been responsible for many an impromptu all-nighter and guarantee’s your Sunday night out in Liverpool won’t be over until well into the following morning. 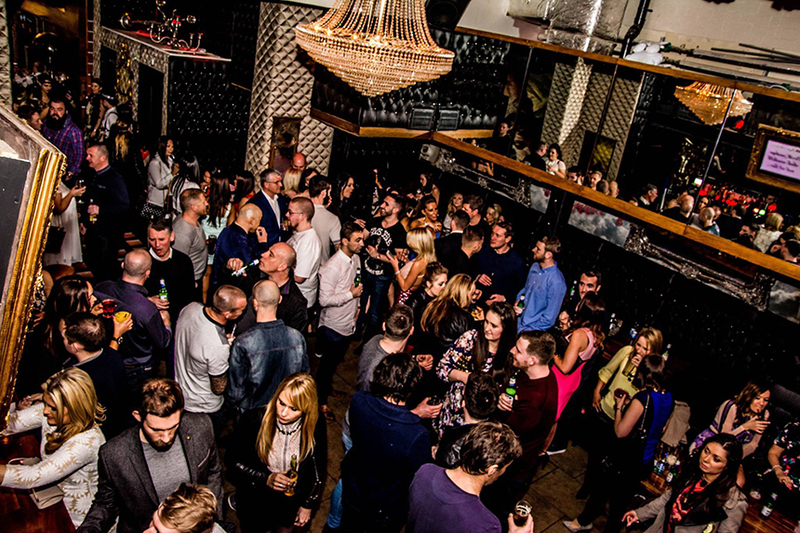 Bar Signature is a fabulous late night Liverpool venue that provides a perfect place to party on a Sunday night. Located at the bottom of Mathew Street, Bar Signature is situated in a superb city centre location where you and your friends can gather together and enjoy a great late night party atmosphere. There are laid back tunes provided, along with an impressive list of tantalising cocktails to boot. Even better the cocktails are always 2 for 1 at Bar Signature so you can spend a night in the bar without spending all your hard earned wages. 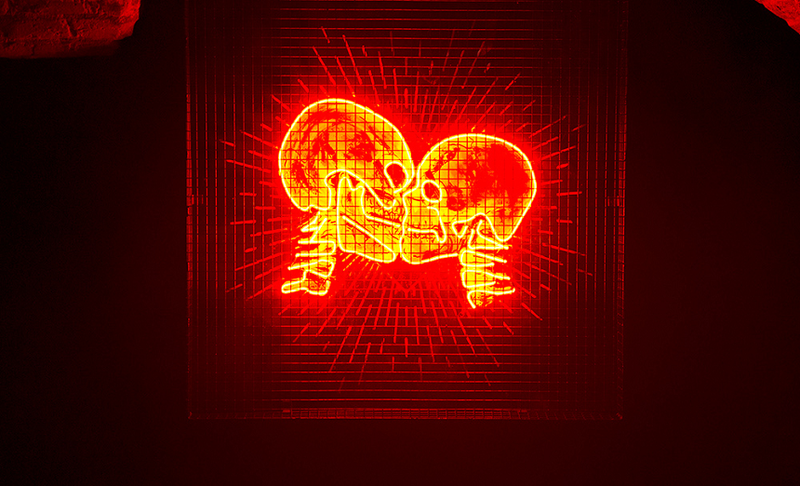 Open till late on a Sunday, Brooklyn Mixer is one of Seel Street’s top bars and clubs. Offering a vibrant atmosphere across 3 floors, this leading venue is a local favourite and perfect for Sunday nights out in Liverpool. Resident DJ’s create an eclectic blend of music with plenty of opportunity for a dance. Plus, you can head downstairs to their outdoor terrace for a friendly atmosphere and the chance to meet some new people. To help you experience even more of Liverpool’s famed nightlife, why not take a walk down Hope Street. Perhaps a drink at any one of the quaint pubs or a bite to eat from one of the many independent cafes, bars and restaurants would make a lovely Sunday night out in Liverpool.